Zen is an RC Heli store opened in early 2014. It was founded by two avid RC Heli enthusiasts who’s passion for the hobby far outweighs their flying ability. It was from this excess of passion that the name was born. You see, we have learnt that the only way to avoid becoming seriously upset (and at the same time attempt to maintain some semblance of dignity) when watching one of your favourite RC machines go crashing into the earth at a hundred miles an hour is to develop an attitude that we call “Zen”. Peace, acceptance and determination to improve are the keys to success. Currently we are an online shop only. Our small storage facility is located in the western suburbs of Melbourne, and unfortunately, for the moment that it is all it is. However, fear not dear customer, because we intend to build the Zen brand slowly but surely with a focus on customer service, quality products, and just plain good fun. So when you order from us, you can rest assured we will attend to your needs in a fast, friendly and happy manner. Without doubt, one of Australia’s brightest and most capable RC Heli pilots. Josh has been flying RC Heli’s since he picked up his first controller out of simple curiosity at 8 years old and discovered two things: (1) He had a natural ability to fly; and (2) it was fun! Josh has been honing his flying skills ever since and has developed into an awesome young talent. Infact, his skills have become so good that in August 2014 Josh was offered, and accepted, factory sponsorship by Xnova – One of the leading manufacturers of some of the highest quality RC Heli motors available on the market today. 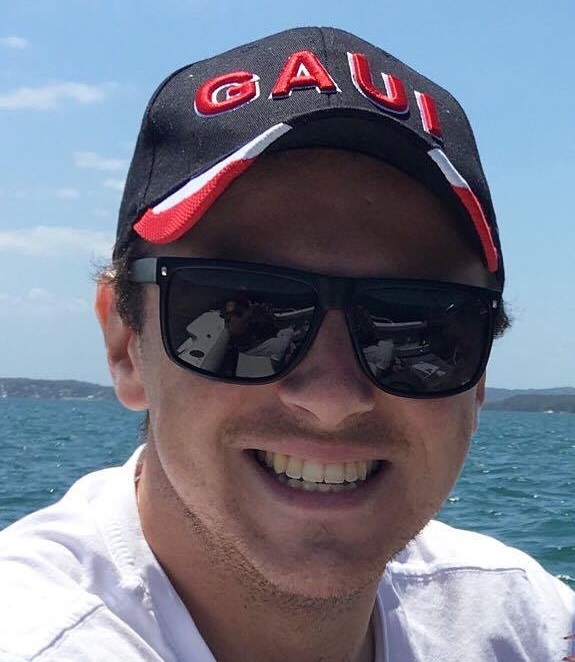 As part of the Xnova team, there is no question that in time Josh Labita will become a name synonymous with RC Helis – just like his favorite pilots Bert Kammerer, Tareq Alsaadi, Kyle Stacey, Dunkan Bossion, and the list goes on….. Josh currently lives with his support crew (Mum, Dad and Sister) in the leafy suburbs north of Melbourne. When not at school learning something new and important, Josh can generally be found indulging in his favorite pastime, flying Helis…… and annoying his father….at his local club. Kyle is one of our team pilots and resident expert on all things Goblin. Kyle once stated he can can fly RC Helis standing on his head. We are yet to confirm or deny such an outrageous statement. Be assured, if we ever see it we will post photos immediately as evidence. Kyle runs the “ask Kyle” section of the website and has graciously made himself available for all things technical regarding SAB Helis. If you have a question please ask him. If you don’t know it, Kyle probably does, and if he doesn’t, he will bend over backwards to find out for you. **Disclaimer, Zen RC cannot confirm that Kyle will actually bend over backwards. We are not even sure he can bend very far at all. But the fact he is willing to try fills us with hope and admiration. We discovered young Ben at the GMAC F3N competition in January 2015 where he placed 1st in both Expert and Advanced classes. On that fateful day, Ben demonstrated not only a true talent for flying, but that he also has the potential to develop into a world class pilot. From that point on, there was no question, we simply had to have Ben on the team. And to our great fortune, he accepted and is now proud to represent Zen and SAB. Damon van der Linde, or as most people call him “Damo”, found himself addicted to RC Heli’s merely after watching a you tube video of someone flying one. Soon after, he somehow ended up with a fairly large collection of RC Heli’s…? with MSH quickly becoming his main brand of choice. When he isn’t playing guitar, or studying, you can almost certainly find him down at his local club or even at one of the parks just trying to fly in a straight line with one of his favorite MSH Heli’s. He has yet to figure it all out, but he is almost certain he will be able to achieve it someday… You can’t miss him. 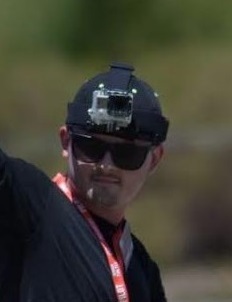 Just look for the guy that is always wearing a GoPro on his head. 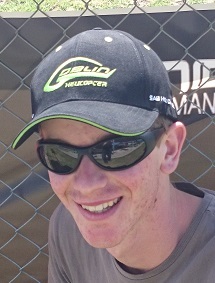 Otherwise known as ‘Grub’, Matt has been addicted to RC helis ever since he received a PicooZ for his 17th birthday. Since then he’s upsized his fleet and flies a variety of models – but none more so than his beloved Gaui’s! Having owned 3 X7’s, 3 X3’s and 2 X5’s over the years it’s not hard to tell what his favourite brand is. Matt knows Gaui inside and out and will probably take one to his grave, so if you have any questions for him he’s sure to have an answer! Just don’t wake him up before midday – he’s a Uni student and they like to sleep….. 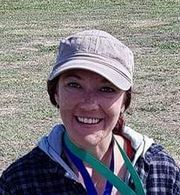 The team at Zen RC Australia are proud to announce our latest and greatest pilot Julie Gallimore. In recent years Julie has come to be a well known and respected figure within the Australian RC helicopter community, competing at many local and regional events around the country within both F3N and F3C formats to high standards. Julie, and her colorful character of a husband, hail from our nations capital and can regularly be found trying out new moves, and new helis at the local fields. Welcome to the team Julie. It’s a privilege to have you!! Mick Naylor, aka “3D Mick”, is obsessed with flying RC heli’s. When not at work he can generally be found ‘laying the smack down’ with his old man (Mick senior) at the local field. Mick started flying roughly eight years ago, and has had many…many many…. many many many….. ok, heaps of helicopters in that time, from Raptors to T-Rex’s, but his current favorites are definitely the SAB Goblin’s!! 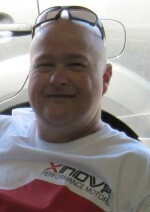 Mick loves flying RC heli’s and enjoys hanging out with some awesome mates who share his passion for flying RC heli’s. Mick’s other hobbies (time allowing) include his girlfriend, two dogs, the ridiculously regular weekend motor bike rides, and Jet Skiing when the weather is good. All of which make life an interesting balancing act for him. “Zen” is the way we intend to run our business and treat our customers. We understand the passion, and dare we say it, obsession, that an RC hobby can inspire. Consequently we want to develop a brand that people can associate with.